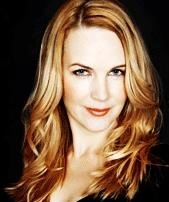 AUSXIP Renee O'Connor News - Happy Birthday Renee - Leave Birthday Wishes! Happy Birthday Renee - Leave Birthday Wishes! It's Renee's Birthday on 15 February! Check out AUSXIP Talking Xena ROC Chat for a Birthday Thread! Leave your birthday wishes for Renée and these will be passed on to her when the thread is closed on Sunday, February 24th. If you currently are not a TX member, you must first register as a TX member before posting your message.